My plans are in place how are you getting on? Where are you in your online journey..
We are firmly back into the groove and into work mode. I bet it feels like you never left or even had a holiday! I know it feels like that for me. I said I was going to keep you up to date with projects, ideas and recommendations throughout this year and that is what I’m going to do. So where are we in our plan of attack? I started the year with a small and simple plan to blog more and create more products and that is exactly what I’m sticking with apart from one other thing which I will get to in a sec. 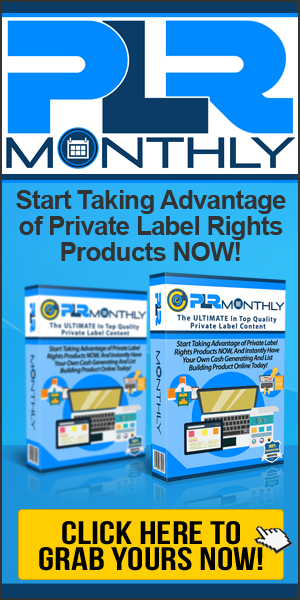 Take a look my last special launch of PLR Monthly with Dave Nicholson for example. We generated over 400 sales in 3 days and over 25k in sales. Which isn’t bad for a 3 days special package at a reduced price. I will talk more about launches and re-launches in another post but for now. Let’s continue with the update. My 4 products are planned in and carved in stone as a project, but not added to my launch calendar yet. If you have any project ideas I suggest you do the same. If you can commit to a launch date, then do so it makes you work toward a deadline. But don’t set it to tight, ensure you have enough time for planning your launch and letting potential affiliates know your plans. If you are not sure about launches and planning check out Product launch Control (PLC), it will help. PLC brings me neatly on to another launch in the ‘Control’ series to look out for from myself and John Thornhill. We have a plan for an affiliate and commission product to help out in these very same areas. The domain is set, but no launch day yet. I’m almost finished my first launch of the year which I have had some problems with. I’m keeping it a secret for now, but what I would like to say is Michael Cheney has fried my brain and given me a full days worth of extra work and about $150 investment extra from a 4 minute video! However the advice he has given me is invaluable and it makes complete sense. Once again there is another post I will follow up with soon. Reading is another focus of mine which I kind of let slip last year. I read about 5 books last year which is a pretty poor effort considering I usually go through about 1-2 per month. So I started strong with a new book this year called Virtual Assistant Assistant by Nick Loper. It’s basically about hiring virtual assistants and making the most from their work. This short little book stirred something up for me and my head started spinning with ideas to what I could use a virtual assistant (VA) for. They are priced at around $400 per month for 4 hours work per day. This to me seems the way to go to move forward with my business. I could use help with blog posting, commenting, research, emails, extra support and more. I’m sure I could use 4 hours work per day to my benefit, especially for the $400 price tag. I will get around to this soon as I have some loose ends to tie up before I could create training videos for training a new VA.
Blog posting is another big one this year for me. Obviously if I get a VA I will have more time to compile and write posts and promote them to others. But blogging is ongoing and I will be providing info to you as and when it’s needed. So what do you think of the plan so far? Is the VA a good idea for growth? Also have you started your own online product yet how is that going? Where are you in your online journey? Hey what’s up Dan, nice to know you’ve started the year strong and congratulations on the PLR Monthly late special launch man, that surely is inspiring for the rest of us! I’ve never used a VA before but I can see the benefits of using one and I’m pretty sure you’ll quickly agree as well. If I can recommend another book about virtual assistants in addition to the one you are already reading (just one, I promise!) that would be Chris Ducker’s “Virtual Freedom”. It’s a great read man and I’m pretty sure you’ll get a lot from it. And now about what I’m doing myself (I should be writing about this on my blog btw lol) I already started writing my first ever Kindle book, I plan to release it right on this month but setting this super tight deadline is just a personal thing I have (trying to beat my procrastination habits). Apart from that, I want to focus a bit more on mini products, things I can create quickly and market fast, I have waited for way too long in the past and money loves speed so I want to avoid that mistake I did in the past. And lastly I want to enter the spanish IM marketplace. It’s something I have been trying to do for a while but have never really started so now I’m more than excited to test the waters there. So all the best man and looking forward to that next blog post. PS. Wondering what Michael Cheney told you now… lol something awesome I bet! I hear you Sergio. Mini products are a great way to move fast and get stuff out there quick. I have an OP template now which I upload for simplicity. Thanks for the update on Chris’s book. I actually have it, but I spilled coffee on it and it’s dried funny lol. Great post – I enjoyed reading it and look forward to reading more about your progress throughout the year. Great post Dan! It’s very helpful and useful article about where are you in your journey. Thanks for sharing it. A good plan is essential. Sounds like you have yours all set. Sticking to it is the next thing, which I’m sure you’ll do. Last weekend I was at a small workshop with Dean Holland and a few other members from our iPro Partnership. There we talked about achieving $100,000 in one year. Now, that might seem gargantuan at first, but when you break it down into smaller steps, it doesn’t seem so unreachable anymore. I came away from that weekend with all kinds of plans that I didn’t have going in! One of my immediate plans is to start a podcast, which I will be doing over the next few days, all being well. It’ll involve stepping out of my comfort zone a bit, but I think it will end up doing me a lot of good. Another thing I’m going to be doing is hosting a Google Hangout with my subscribers and pretty much anyone else who wants to join and ask me questions. Again, a big old comfort zone thing, but I think it will end up being a personal game changer for me. Nice to move forward in your biz and get out of your comfort zone a little. How is that going? BTW I found you in my spam folder for some reason? This shouldn’t happen again..
No probs bud. I find that my anti-spam plugin does that sometimes with people too, no matter how often they comment or how ‘unspammy’ they are. Puzzles me too! All being well, I’ll be hosting my first Hangout next week. I also have my first paid product in the works which I’ve been kind sitting on for a while because of the whole comfort zone thing. Having bought product creation training from people like yourself and John Thornhill I should know better and just get it out there, but I’m sure you know what it’s like when you start getting those nagging doubts in the back of your mind! Anyway, the heck with it – I’m going to do it, come what may!